This year’s Founders Gala, Under the Stars, was an entertaining and successful evening for Waterford School. Our community came together to surpass our goal! 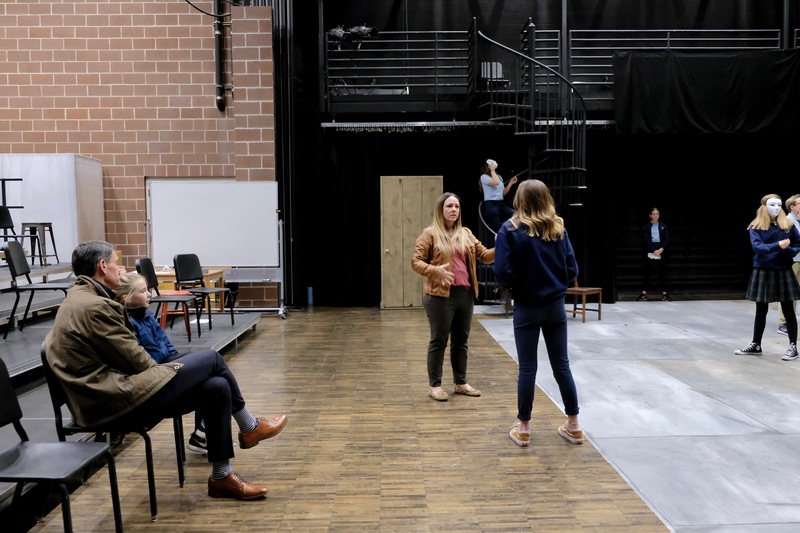 In addition to the live auction, paddle raise, and sign-up parties, there was an exciting raffle with a wide variety of appealing offerings. 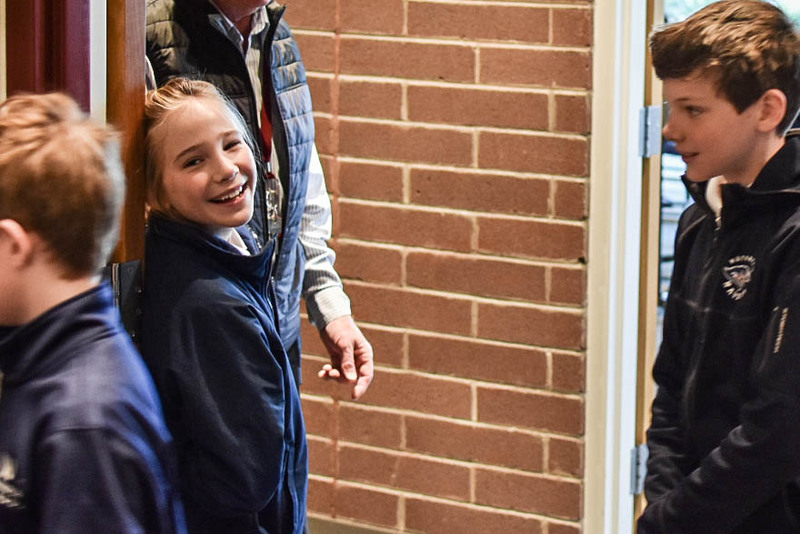 One of these raffle items was the opportunity to be Head of School for the Day: The student recipient in Lower School would greet students, run an assembly, check in on classrooms, and be the boss! 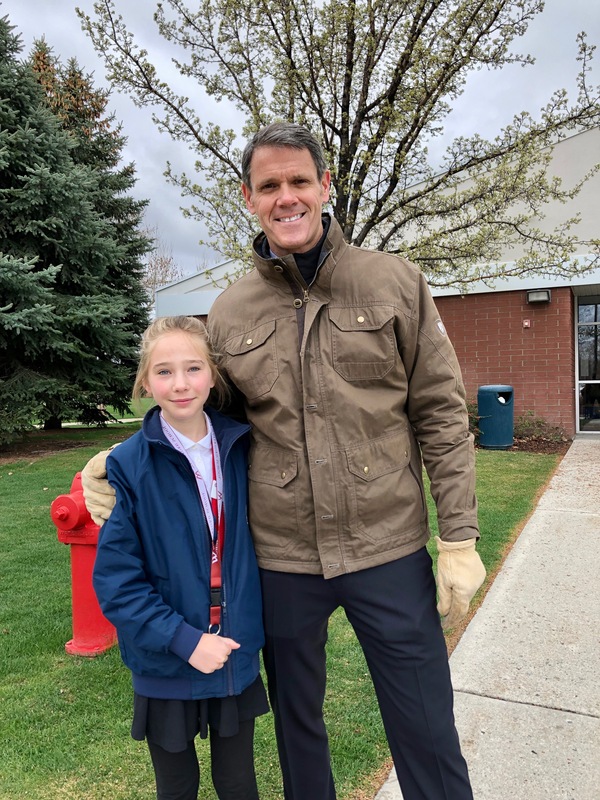 The winning ticket went to Clara W., Class IV, and Thursday, April 11 was her day to be Head of School! 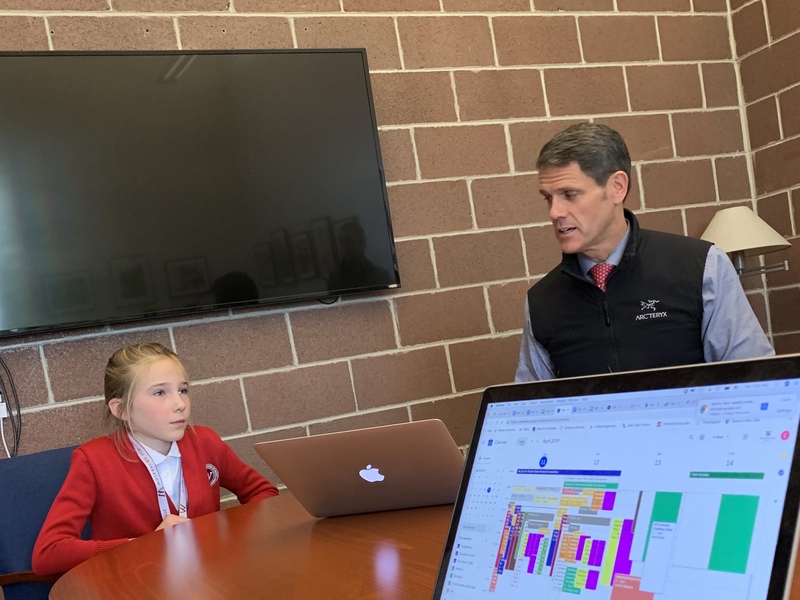 Clara cleared her schedule and took on the responsibilities of Head of School for the entire day, she greeted students, met with administrators, and interviewed a potential teaching candidate. 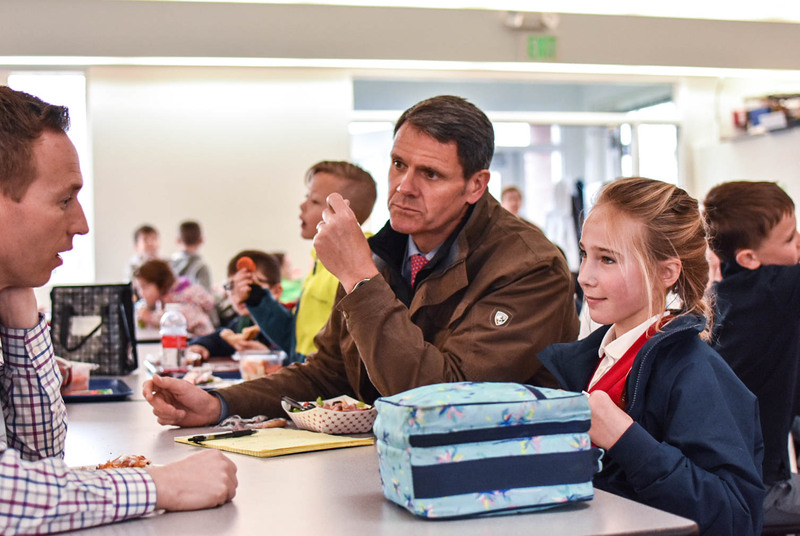 Follow along below to see how Clara spent her day as Head of School at Waterford. 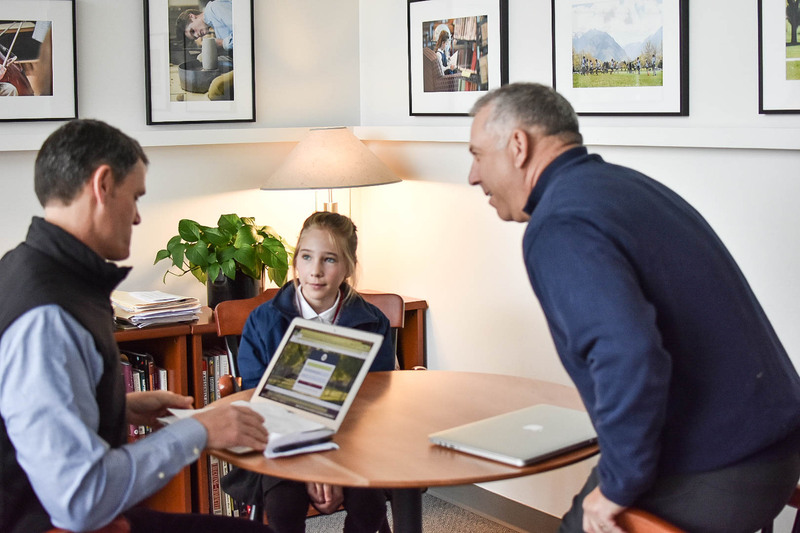 Clara W. offered a fresh perspective and thoughtful insight as our Head of School for the day!